In the 35 year period in which he has made 17 films (among which are Matewan, Eight Men Out, Return of the Secaucus 7, Men With Guns) MacArthur grant-winning director John Sayles has also published seven books, including the National Book Award-nominated Union Dues and two full-bodied novels, Los Gusanos and, most recently, A Moment in the Sun. And yet, as he mentions in the conversation that follows, he has never received one note or letter from anyone who has read any of his books — a correction the cross-country reading tour (in a rented Prius) Sayles and his partner Maggie Renzi embarked on, will no doubt make. A Moment in the Sun, in nearly 1,000 pages, delves into a sketchily acknowledged period of American history — the rise of Jim Crow, effectively thwarting Reconstruction in the South, the road to the Cuban Spanish-American War, American imperialism running rampant in the Philippines, and the greed-fed Yukon gold rush. As it happens, the American involvement in the misnamed Philippine insurrection also serves as the setting for Sayles latest film, Amigo. 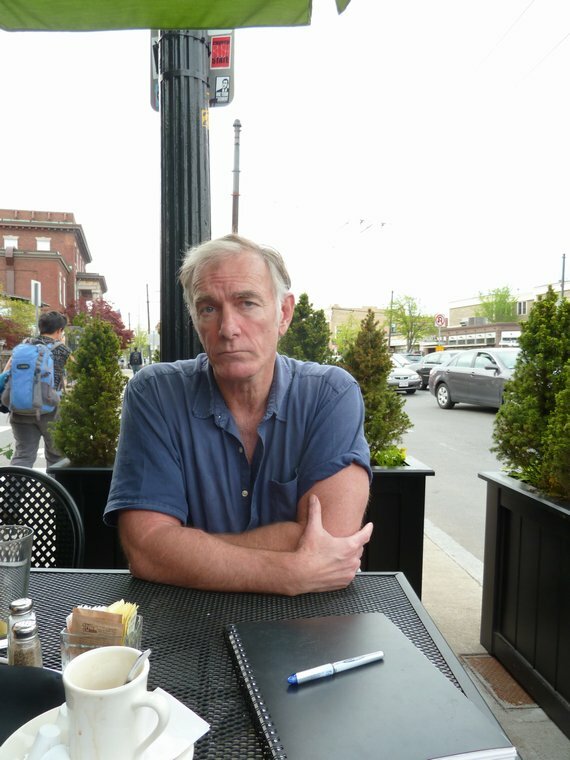 This, my second chat with John Sayles (we last met in 1995 for his Cuban exile novel, Los Gusanos), turned out to be a lengthy conversation touching on his new opus, his new film, the perils of independent film making, and any number of asides and anecdotes from a full and storied creative life. Robert Birnbaum: Its International Free Press Day — in case things like that matter to you. I haven’t seen any reviews of your new opus. Maybe because it is too long for reviewers? John Sayles: There have only been the publishing trade magazines, Kirkus and those. One of them called it a cat-squasher of a book. RB: How imaginative. I saw an article on the fact that you are visiting every state including Alaska. JS: Yeah, I like reading. The book is long enough so I am reading a different chapter every night so I don’t get bored with it. One thing that is nice is that it is almost all independent bookstores. RB: The chains seem to be going out of business (laughs). Who would have thought it? JS: Also the chain stores don’t do readings in the mall that often. I have written three novels before this and a couple of short story collections and to this day I have never gotten a letter from someone who has read one of my books. I run into people who have seen my movies all the time. Most people don’t know I write books. RB: Didn’t you win a National Book Award or something? JS: That didn’t change anything. I was nominated. RB: You haven’t published a book since Los Gusanos . JS: A short story collection, Dillinger in Hollywood. But that was about five years ago or so. Nation Books published it — they hadn’t done fiction before so it was pretty new to them. Doing readings is kind of like theater, where you are looking at your audience. Which is nice for a book, to actually see somebody who is going to read the book or at least buy it. RB: Unlike most book tours, which is one sealed tube after another — you are out among the people. JS: We like driving across the country. RB: Are you rejiggering your budget now that gas prices are soaring? JS: No, but we are renting a Prius. I am almost too big for a Prius but it’s OK. Mexico is just about out of oil — which will be good for the pollution in Mexico City. RB: The week I was there it must have been really unusual because it was not bad at all. JS: They have a few good days, but the rest of the time it’s like breathing bus exhaust. RB: I’ve lost track of Mexican politics — did they just have an election? JS: They are about to have a big one. What’s happening is that the narcos have a bigger army than the government.